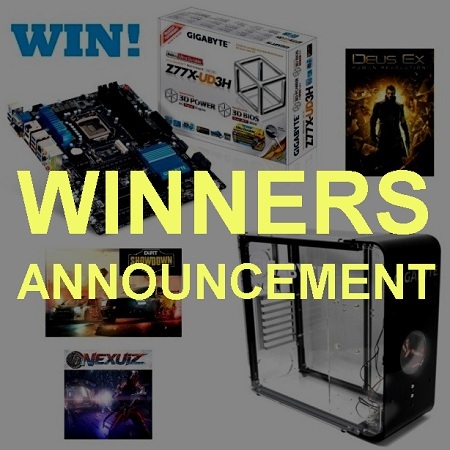 Oh ,congrats to the winners and enjoy ! P.S. Do you really want to see the list with over 1300 participants? Anyone knows why nearly 10 people sent me answer to the Quiz (like they still want to participate ) since I announced the winners? Good shot to all the winners! How am i redeem my prize ?. 7. Winners will be announced on our Forum on April 25, 2013 and informed also through PM on the same day. Then they have 10 days to reply with their shipping information. If they don’t reply within this given time another winner / runners-up will be selected from other entries. You should have had a PM from runn3R telling you that you have won. Reply to this with your shipping address details.